In the present scenario, video conferencing tools have redefined the way corporate houses communicate and interact with their team members from different parts of the world. Many companies have capitalized on the advantages of the cloud-based video conference system to improve collaboration and inspire productivity. Today, employees may easily form networks instantly and engage in meaningful cross-team collaboration through live HD video communication. Some of the best video conference solutions in the market today, based on reviews by marketing analysts and gadget gurus, are Join.me and Zoom. 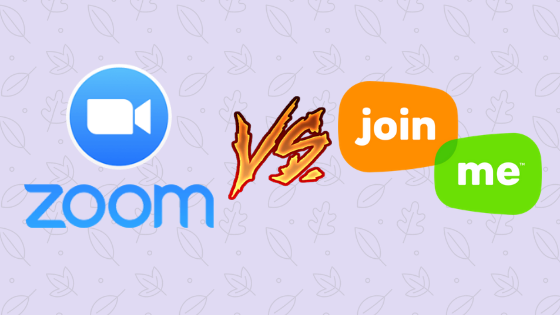 These two have gained much popularity within a short span of time because of their competitive pricing, ease of use and variety of features, which is in this feature we’ll do a comparative review of Zoom Vs Join.me to ensure wise decision-making on the part of individuals. Zoom is a business application mainly specializing in video conferencing, however, with plethora of additional features. It provides a simple intuitive interface through which users can easily provide services like online meetings, training for employees, video webinars for events such as city meetings, a business friendly instant messenger and much more. Zoom offers a full spectrum of conferencing tools to help users increase productivity and can be used at lower costs to save on the traveling expenses and equipment purchases. It features breakout sessions that enable you to split your viewers into smaller groups in scenarios of a training webinar or online class session. The cloud-based technology allows the organizer to exercise full control of the meeting such as muting all audios and controlling attendees’ presentation access. In addition to this, Zoom also includes a chat utility that can be used to communicate effectively with the session instructor or with other attendees. Growing at a rapid pace, over 650,000 businesses’ have subscribed to Zoom. In fact, one of their recently introduced features, called the “Zoom Room” has created hype for its users, with the conference services allowing up to a whopping 100,000 viewers, making it appealing to even the large companies like Amazon. 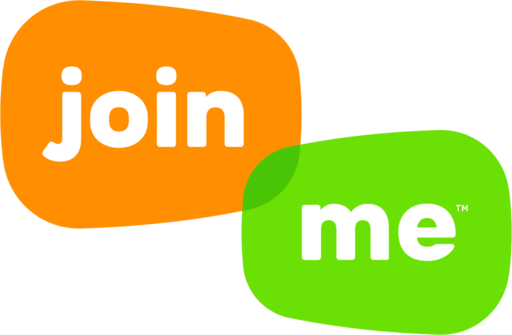 Join.me is a popular cloud-based service that allows individuals, businesses, and organizations to meet and collaborate online for various purposes within a matter of few seconds. Consisting of a simple, user-friendly interface, Join.me provides an easy process for users to start/attend a meeting, brainstorm and share ideas and discuss corporate proceedings even when they are nowhere near their laptops. The intuitive interface and flexible pricing scheme makes Join.me as one of the top picks for startups and small companies. They can create personalized URL meetings with a single barcode, and invite users using cheap and simple, automated email notifications. Consequently, all attendees will receive instructions on how to join the meeting or webinar, and be allowed to share screens and contribute both with audio and video. Another distinctive advantage of this application is that it requires no complex installation process or expensive on-the-job training, as it runs on a cloud-based implantation. It assimilates with the leading contact management and email systems to enable contact import, and fuses easily with every corporate ecosystem. Now we’ll move on to do a comparative review of Zoom Vs Join.me, on the basis of various common factors considered by enterprises before choosing a video conferencing solution. Zoom can be easily integrated with other platforms and software to improve content distribution, planning and starting meetings, unifying login, marketing automation, and room collaboration. Some of the most common integrations that Zoom has a provisions for, include Microsoft One Drive, Google Drive, Box, DropBox, Slack, Salesforce, Skype, Microsoft Outlook, Google (Calendar, Chrome), Firefox, LTI Canvas, LTI Backboard, LTI Moodle, LTI Desire2Learn, Acuity Scheduling, Microsoft Active Directory, Google, Okta, Facebook Centrify, RSA, Zapier, Hubspot, and many others. On the other hand, Join.in offers integration in the give business systems and applications: Outlook, Google Calendar and Salesforce. One of most essential category to be covered under Zoom Vs Join.me is the pricing structure of both the softwares. Zoom offers a deal on both free and monthly pricing scheme, with 4 enterprise pricing packages. While the Basic plan is free, the Pro, Business and Enterprise plan is priced at $14.99 per month per host, $19.99 per month per host, and $19.99 per month per host respectively. Join.me deals in flexible pricing plans with customers, to access their features. You may try out and explore the software’s capabilities with its free 14-day trial. Once it expires, you may choose from their free plan, premium plans and plans priced for non-profit organizations, namely $20 and $30 per month per host. These plans are usually billed on an annual basis. Both Join.me and Zoom offer comprehensive customer support which is usually channeled through user guides, online tutorials, training sessions, online chat support and email support. However, the two have major dissimilarities when it comes to phone support. Join.me offers phone support but the option is only eligible for users who have subscribed to the Pro and Businesses paid plans. On the other hand, Zoom offers its users round-the-clock phone support and responds to each user depending on the level of urgency, the amount of time varying Priority 1 to Priority 4 customers. Zoom may be a better alternative for all levels of businesses when it comes to customer support as compared to Join.me. Join.me has been identified as an ideal alternative for businesses that are in dire need of sufficient cloud storage without the need to integrate with many third-party apps. Its simple viable for small & medium-sized businesses, large corporate houses and freelancers. Zoom, on the contrary, can be a good option for small and medium-sized businesses who are looking out for a robust video conferencing software which can be conveniently used to schedule and facilitate ad hoc meetings. When choosing a video conference solution for companies to use, convenience and ease of use should be the top-most priority. Based on the above comparative review of Zoom Vs Join.me both the apps serve as viable channels to efficient video conferencing. Each of them comes with their own set of strengths and a fair share of limitations as well. Nevertheless, businesses are free to use these video conference software interchangeably, so long as they satisfy the organization’s telecommunication commitments and hence, it is recommended that people should try out both the apps first to see which one suit their business needs the most, and then decide to switch accordingly.